If being sick doesn't kill you, the medical bills might. Imagine getting better and being bankrupted for it. Facing the prospect of financially devastating medical bills is a reality many Americans know isn't going away. But a newly announced partnership between B.C. startup FundRazr and leading US provider of healthcare information Healthline.com may just save them from financial ruin. The two companies have teamed up to offer a new way to raise money online for patients with medical expenses in the U.S. or internationally. 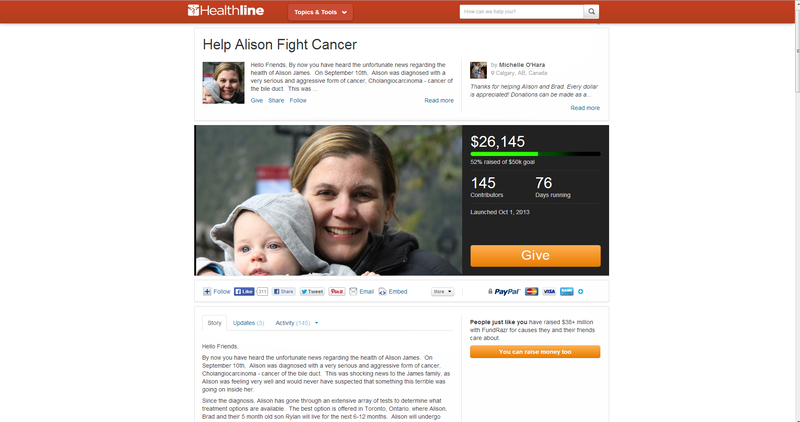 Visitors to Healthline.com can now easily create personal crowdfunding campaigns, share them on social media and email, and securely collect funds to help pay for medical expenses and gaps in insurance coverage. As David Kopp, EVP and GM of Healthline Media shares, "There's a big difference between 100 per cent of the people having healthcare insurance, and having 100 per cent of their medical expenses paid for. He adds "our ability to bring medical crowdfunding to millions of people enables Americans to help give the gift of improved health and reduced stress to their loved ones." It's staggering to note that medical bills are the leading cause of bankruptcies in the U.S. with nearly 2 million people impacted. Many others have gaps in insurance. One study found that in 2010, 30 million Americans had medical bills in collection. Another study found that a full 40 per cent of American adults have had trouble paying their medical bills. Being Canadian doesn't give us licence to throw stones, as FundRazr founder and CEO Daryl Hatton points out. "In Canada, despite our universal health care, many patients suffer on waiting lists for months and months waiting for care. They may need to travel to get the care they need, take time off work or otherwise face debilitating bills that crowdfunding can help with. We enable regular people to start a campaign for a friend or family member and get help directly from their loved ones using the platform." FundRazr has already helped tens of thousands of people help others, including Santa Cruz resident Sara Wysuph, who started a campaign for her brother-in-law, Jason Jones after he was diagnosed with leukemia in 2013. She found that her Jason Jones Medical Fund campaign on FundRazr reached and built a community of caring behind their cause, raising over $31,000 in just 33 days. And Canadians have benefited, too. 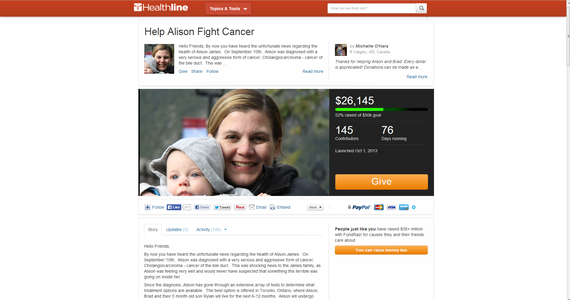 Alison James of Calgary, has cancer and her family turned to FunRazr for help. They have raised over $25,000 to help with the attendant expenses a family faces in this situation. "Healthline is about guiding patients to better health," says Kopp. "If we're really going to address this medical coverage issue, in addition to what the government does we need to band together as individuals and make healthcare coverage more personal." 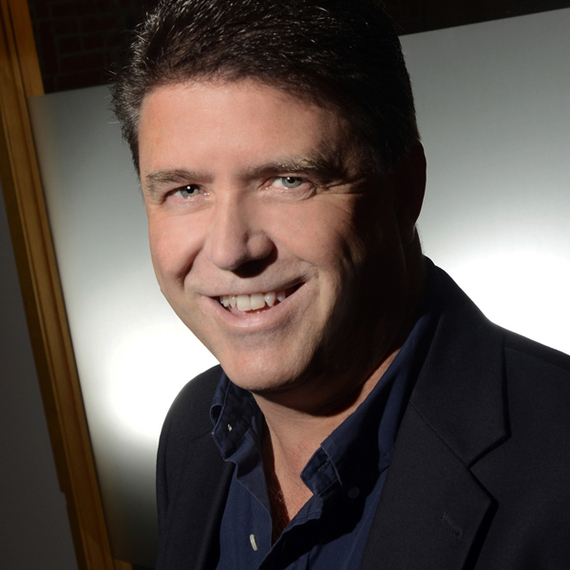 FundRazr's founder and CEO, Daryl Hatton has been on the frontline of crowdfunding since 2010. "Crowdfunding continues to evolve at an amazing rate. The evolution away from destination sites is becoming clear. Why send your community away to a crowdfunding site when you can plug and play the technology on your website or Facebook page and enable your community to fundraise right on your site?" So much crowdfunding talk and energy these days is being directed towards raising capital, to get things built, or fund personal projects. It's encouraging that's there's technology and effort being made to help individuals overcome illness, and remove the haunting spectre of a lifetime of crushing debt, regardless of where they call home.